2. Some WMXQ contests will have specific rules that may amend these eligibility values, and these rules will be aired on WMXQ during said contest. Only one winner per household, per 30 days is allowed. Any prize awarded to an ineligible listener will be deemed null and void, and an alternate eligible winner may be named. 3. Anytime you call the WMXQ studios, you assume that your call will be broadcast or recorded and you grant us permission to broadcast the call or record if for later broadcast. 4. As a winner of a WMXQ contest, your voice, name and/or picture may be used for promotional, broadcast, or internet purposes without further compensation. 5. Prizes awarded are not redeemable for cash. No prize is transferable. No substitution for a prize will be made at the request of winner. WMXQ reserves the right to substitute a prize of similar value. 6. All winners of all contests are responsible for all taxes on the prize awarded. All winners of a prize valued at $600 or more will be required to complete the appropriate tax forms at the WMXQ business office prior to claiming prize. All winners will be sent a 1099 MISC federal tax form if in one calendar year the prize value of all prizes won exceeds $600. 7. In the event the winner is subject to or the subject of any order or legal process issued by any governmental agency having jurisdiction over the affairs of the winner (i.e. garnishment, child support order, judgment, lien, and the like), WMXQ delivery of the prize to the official representative of the governmental entity claiming a right to the prize shall be thus deemed as WMXQ awarding the prize to the winner. WMXQ shall be entitled to rely in good faith, upon any documents presented by the representative seeking to collect the prize in lieu of the winner. WMXQ shall not be liable for any claim by any winner for damages incidental thereto. 8. All WMXQ contests are open to all eligible U.S. residents 18 or over (unless otherwise specified). Contestants must possess a valid form of identification bearing the picture of the contestant acceptable to WMXQ that will be presented to WMXQ and accepted before the prize is awarded. 9. Winners will be expected to claim prize at the WMXQ business office (unless otherwise noted), at 800 E. 29th St., Muncie, IN 47302 between 8:30am – 5pm, Monday through Friday (excluding holidays) within two weeks of being notified that they are winners, unless there is an expiration date on prize which will be specifically stated. 10. 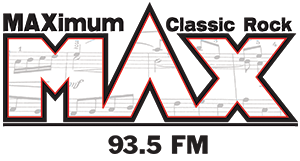 Employees of WMXQ and Woof Boom Radio, their advertising agencies, affiliates, contest sponsors, employees and immediate families or significant others of each, and employees of all media of mass communication within a 100-mile radius of the WMXQ main studio are not eligible to win any contest. Immediate family includes the spouse, great-grandparents, grandparents, parents, brothers, sisters, children, grandchildren, and great-grandchildren of the employee and his/her spouse. This also includes individuals for whom the employee is current legal guardian. 12. WMXQ reserves the right to disqualify any winner if any contest rules are violated in any way. 13. WMXQ and Woof Boom Radio, assumes no liability for situations, repairs, or incidents arising from any aspect of any prize awarded in any contest. WMXQ and Woof Boom Radio, their advertising agencies, affiliates, contest sponsors, employees, and immediate families of each absolve themselves and shall be held harmless from any action or liability arising from any contest or prize awarded in any contest. 14. As a licensee of the FCC and a trustee of the public airwaves, WMXQ reserves the right to interrupt and/or discontinue any contest or promotion (and not award the offered prize) at the discretion of WMXQ management, if world events, the national mood, or public safety so warrant. 15. WMXQ reserves the right to amend the rules to any contest at any time. The judge’s decision is always final. 16. For any contest requiring phone entry, you must use only the following number unless otherwise specified: (765) 378-2094. The person operating the telephone at WMXQ has the final decision as to who is the winning caller. 17. WMXQ shall have no responsibility for failure to win or claim any prize based on difficulties with telephone, facsimile, email, or internet difficulties, or any circumstances in any contest. b. To win a prize you must reside within the listening area of WMXQ, as defined at the exclusive discretion of WMXQ management. c. Any problems with the internet or email are not WMXQ’s responsibility. 19. A copy of these rules is also available during business hours at the WMXQ business office at 800 E. 29th St., Muncie, IN 47302.